The Native Forest® Organic Hearts of Palm project supports the health of the consumer, the future of the rain forest and the economic and social well being of the source communities. The project brings employment and a higher standard of living to the region while maintaining respect for its culture and its vast natural resources. Healthy, delicious and convenient, Native Forest® Organic Hearts of Palm are cherished members of the Native Forest family of products, which we are proud to offer you. 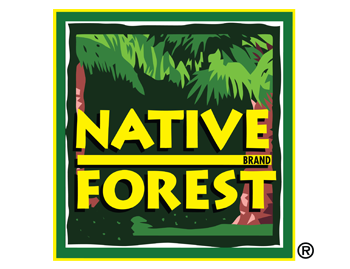 The Native Forest® brand was born in 1999 with the introduction of America’s first canned Organic Hearts of Palm. The harvesting system of Native Forest® Organic Hearts of Palm supports preservation of native South American rain forests while benefiting source Amerindian communities. Native Forest® Organic Coconut Milk (America’s first) is pressed from the nutmeat of mature organic coconuts. It features full-bodied coconut taste with a smooth and creamy texture. Organic coconuts tend to be a little smaller than their conventionally grown cousins, while the organic coconut trees are sturdier and more drought resistant. Organic fruits are tree-ripened in certified organic orchards, then packed in organic juice at the peak of flavor. We support proliferation of organic agriculture wherever possible, and we are proud of the dedication of our certified organic growers and packers whose efforts allow us to offer you a range of succulent organic tropical fruits.